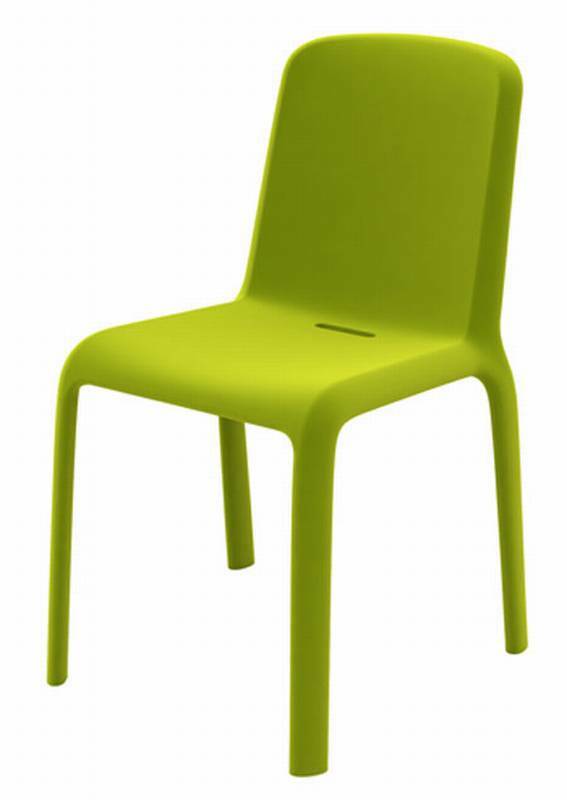 Description Injection-moulded polypropylene dining chair. Lightweight and UV-resistant, it is equally suited for outdoor and indoor use. Strong, flowing lines make this chair structurally sound as well as easy on the eye. Available in colours: red, white, orange, green, black and blue. Stackable. 1st Prize YOUNG&DESIGN 2008.